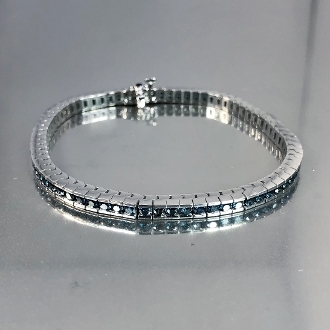 This blue diamond bracelet is channel set in solid 14 karat white gold. Total blue diamond weight is 19.10. Kindly allow 3-4 weeks for production. Bracelet measures 7" but can be ordered in different sizes upon request.